Includes jamming footage to illustrate Pete's expert instruction. 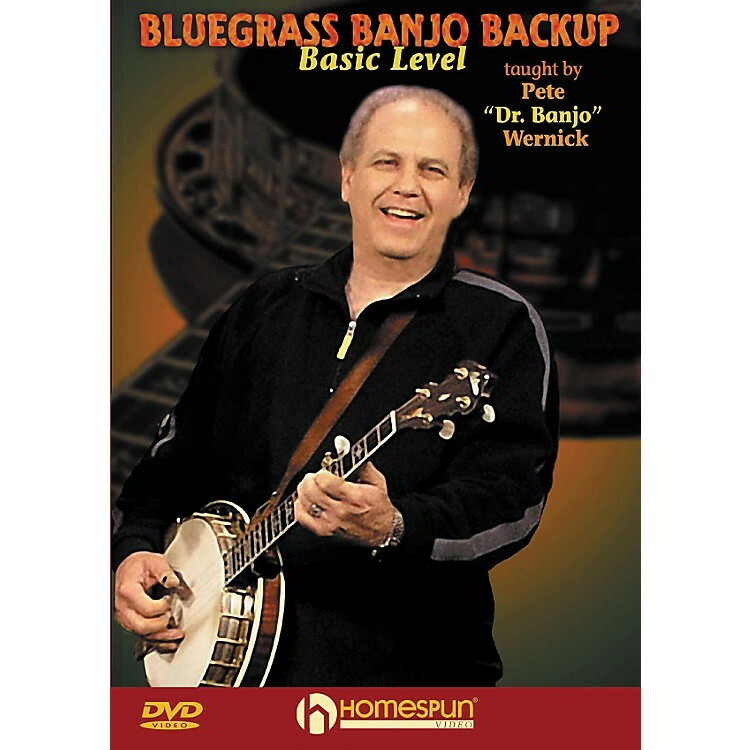 This DVD is the ultimate beginners' how-to course for playing back-up banjo in a bluegrass band, from the simplest basic strum to the chord vamping, rolls, up-the-neck positions and fill-in licks that banjo players use to spark the bluegrass sound. Includes actual jamming footage to illustrate Pete's expert instruction. Like bluegrass 101 for the banjo. Order today.